Health officials in Davao Oriental in the southern Philippines has declared the province free of the mosquito borne parasitic diseases, malaria and filariasis. During the ceremonial declaration and awarding on April 20 at the Provincial Capitol, DOH Undersecretary for Technical Services, Dr. Vicente Belisario, Jr., lauded Davao Oriental’s feat for eliminating two major public health diseases. “This is a major feat because you have eliminated filariasis and malaria which are public health problems that are greatly associated with poverty,” he said. capability-building among municipal health workers, and increasing public awareness through extensive information, education, and communication campaign, among many others. In the case of filariasis, the Public Health Office has been giving prophylaxis treatment to susceptible and predisposed groups particularly in far-flung areas. In order to efficiently implement sustainable set of measures to ensure that filariasis and malaria will continually be eliminated as a public health problem here in the province, the DOH has turned over to the Provincial Government a total of P 2 million cash grant for filariasis and malaria control which will further boost the province’s disease-control programs. 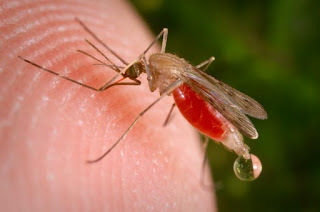 Malaria, from the Italian for “bad air”, is caused by a parasite called Plasmodium, which is transmitted via the bites of infected Anopheles mosquitoes. In the human body, the parasites multiply in the liver, and then infect red blood cells. In 2013 an estimated 198 million cases of malaria occurred worldwide and 500,000 people died, mostly children in the African Region. There are three different filarial species (nematode parasites) that can cause lymphatic filariasis in humans. Most of the infections worldwide are caused by Wuchereria bancrofti. In Asia, the disease can also be caused by Brugia malayi and Brugia timori. 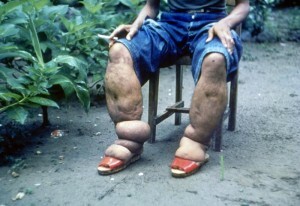 Lymphatic filariasis affects over 120 million people in 73 countries throughout the tropics and sub-tropics of Asia, Africa, the Western Pacific, and parts of the Caribbean and South America. A wide range of mosquitoes can transmit the parasite, depending on the geographic area. In Africa, the most common vector is Anopheles and in the Americas, it is Culex quinquefasciatus. Aedes and Mansonia can transmit the infection in the Pacific and in Asia. The painful and profoundly disfiguring visible manifestations of the disease, lymphoedema, elephantiasis and scrotal swelling occur later in life and lead to permanent disability. These patients are not only physically disabled, but suffer mental, social and financial losses contributing to stigma and poverty.